The largest retail bankruptcy to come out of this cycle–in fact, one of the largest on record–has been for Toys “R” Us. Its entire U.S. operation has been liquidated, leaving hundreds of empty boxes across the county and future generations void of being Toys “R” Us kids. These stores (many Toys “R” Us/Babies “R” Us combinations) are about 38,000 s/f on average, leaving hundreds of thousands of vacant space throughout New England. Stores in prime locations are likely to be backfilled relatively easily. Several smaller-format grocers could look to these vacant sites, such as Trader Joe’s or the Roche Bros.’ Brothers Marketplace concept. Another big box store could upgrade its location in a trade area/plaza, or newer entertainment concepts to our market–such as Glowzone (indoor mini-golf, bumper cars, bowling) or SkyZone (indoor trampoline park)–could be a fit. Food halls could be another option. Mall operators are finding success with such food destinations throughout the country, with the Prudential Center’s Eataly a prime example in Boston. A tougher fix would be to break the box down. If a store sits at one end of a center, options to segment the space could yield higher overall rents than the struggling toy retailer now pays. There are costs associated with a change like this, from moving services such as HVAC to putting in new entrances, but these possibilities exist. A 20,000 s/f tenant could take the back portion of the box, and the front facing the parking lot could be carved out for smaller-format shops that would pay rents 2-3 times higher than those of the larger tenants/anchors, offering upside to landlords. Because other major space occupiers from Sears and Kmart to JCPenney could be next, the depth and creativity of the retail marketplace will be further tested. Changing consumer habits will continue to wreak havoc on the retail landscape. Senior vice president and head of Colliers Boston’s retail practice Peter Montesanto notes, “They did a great job managing and leveraging their real estate portfolio. Between below-market rent deals and assets they owned, they were able to stay afloat.” Montesanto added that he was “surprised [Toys “R” Us] held on as long as they did. Between Amazon online and Target’s and Walmart’s emergence in the toy market, it became impossible to survive.” Geoffrey the Giraffe looks poised to join the Zayre Bear in local retail lore. 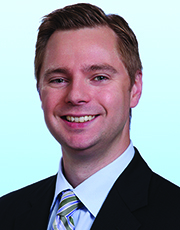 Aaron Jodka, director of research, Colliers International, Boston.